For many of the more than 150,000 Texans who have returned from the battlefields of Iraq and Afghanistan, the struggle to cope with the horrors they've seen can result in drug addiction and violent outbursts. To deal with those harsh realities, 10 counties are working to establish "veterans courts" that would emphasize treatment or counseling over punishment. More than 150,000 Texans have returned from the battlefields of Iraq and Afghanistan, many having spent months or years fueled by adrenaline and fear, inundated with death and grief. Back home, the struggle to cope with such traumas can erupt into addiction and crime. To deal with those harsh realities, the Legislature last year authorized counties to create "deferred prosecution programs" for returning veterans who can prove that their delinquency can be traced to their combat exposure. 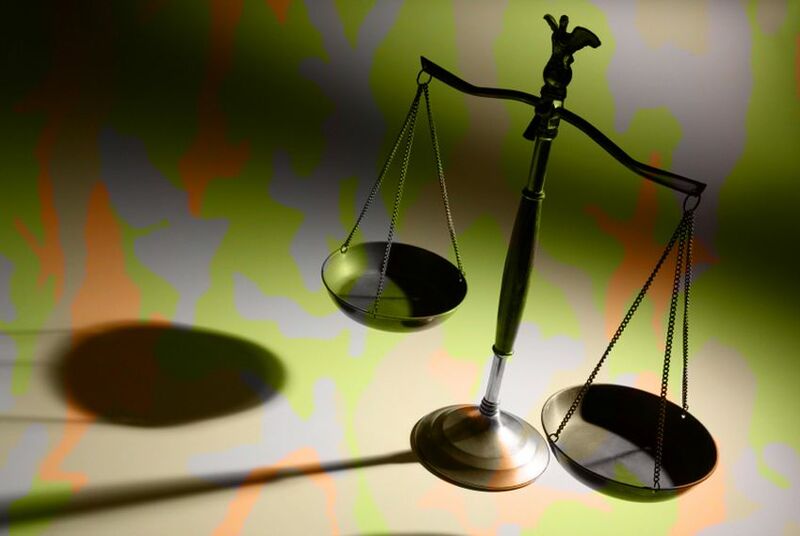 The courts operate somewhat like the state's drug courts, prioritizing treatment or counseling over punishment for soldiers accused of crimes, mostly involving drug abuse and violent outbursts. But the development of such efforts, still in their infancy, faces serious hurdles, both in their financing and in debates over how — and even if — they should operate. In Bexar County, District Attorney Susan Reed in January voiced strong opposition to a court that would bypass adjudication, essentially diverting the defendants to treatment without prosecuting and sentencing them first. Texas has long been a home base for the United States military, housing some 1.7 million veterans, nine veterans state cemeteries and 18 active military installations stretching from San Antonio to Abilene. Still, for decades, the state has not had to deal with a large contingent of shell-shocked veterans returning from combat. The most consequential conflicts since Vietnam have changed that — but with lawmakers in Austin facing an estimated $18 billion budget shortfall in the coming legislative session, cash-strapped counties are facing inevitable questions about the courts' funding and operations. "This war is very different"
Last year’s legislation was led by state Sens. Rodney Ellis, D-Houston; Leticia Van de Putte, D-San Antonio; and state Rep. Allan Vaught, D-Dallas, who received a Purple Heart after a year in Iraq. The Texas Veterans Commission estimates 10 counties — Bexar, Dallas, Denton, El Paso, Fannin, Harris, Hidalgo, Orange, Tarrant and Travis — either have a veteran court system in place or are considering one. Many have high populations of veterans. Bexar County, for instance, is home to about 11,000 veterans of the Iraq and Afghanistan wars. Iraq and Afghanistan — notably the repeat tours of duty many soldiers have endured since the 2003 surge in Iraq — pose new challenges for Texas. Such long engagements are directly connected to the incidence of post-traumatic stress disorder, Van de Putte says. And almost half of the returning forces are from the Guard and reserves, normally part-time soldiers who are not as closely associated with military bases on the home front, where they might get more support. "This war is very different from other wars that have been fought," Van de Putte says. That loose connection to military support systems makes some veterans, who return to work or school, "hyper-agitated and irritable and [more likely to] abuse drug and alcohol," she says. "When they went to the deserts of Iraq and Afghanistan, they were fine. When they came home, they weren't fine." The new veterans courts are maintained directly by the counties in which they operate, allowing local law enforcement officials and judges to agree on the courts' specific requirements, including which veterans and crimes will be heard. In Bexar County, where plans for a court are being considered but not yet implemented, Reed opposes what Van de Putte calls "pre-trial treatment," arguing that treatment services should be prescribed only after a court has handed down a conviction and a sentence. Van de Putte, adamant that the courts do not amount to a get-out-of-jail-free card, counters that getting soldiers connected with psychologists and other mental health services will help far more and cost far less than prison time. And the courts require drug-testing and strict supervision, she points out. The disagreement has put Bexar County at the center of the statewide debate, as it moves to consider starting a court to serve the thousands of veterans who live in the San Antonio area. Under the current proposal, eligibility for alternative sentencing would require a veteran to show a medical diagnosis of mental illness, brain injury or other disorder connected to combat service. Local prosecutors would make the calls on each case. If chosen to participate in the court, the veteran would agree to pay all necessary treatment costs and to undergo an intense plan that requires drug and alcohol testing twice a week, Van de Putte says. If the veteran successfully completes that regimen, mention of the offense would be expunged from his or her record. Deciding which offenses the courts will hear also remains under discussion in Bexar County, Van de Putte says. Reed wants to ensure the courts do not take on offenses that are too serious. All counties with operating veterans courts stop short of hearing more serious "3g offenses," felonies so named for their inclusion in Section 3(g) of the Texas Code of Criminal Procedure, which include murder, kidnapping or indecency with a child. Van de Putte says she hopes Reed will overcome her initial hesitation and support the proposal, adding that if a court program could work in the notoriously tough-on-crime Harris County, "we should make it work in Bexar." In Harris County, defendants must show that they were honorably discharged from the military or are on active duty or in the Reserves. The veteran has to submit to clinical evaluation, must be a resident of Harris County or an adjacent county and must have been charged with a type of offense the court has agreed to hear. Financing for veterans courts is scattered and varied, as counties have to cobble together dollars to keep their operations going. Mary Covington, a special programs manager in Houston, helped start the Harris County veterans court from scratch last November. With no state funds available, county officials initially relied on federal grants that matched the services the county court meant to offer. To pay the veterans' attorneys' fees, the county sought state money earmarked for indigent defense. Nearly six months later, the Harris County's veterans court is in the process of securing grants from Gov. Rick Perry's office and the Texas Veterans Commission. The county's program, the first in the state, has since added permanent staff positions and more treatment programs, Covington says. Expanding and financing such courts on a more permanent basis might require action at the Capitol — and that could prove difficult, given the niche nature of program and gaping holes expected in the next state budget. Getting lawmakers to fork over the funds could be made even more difficult by the fact that the still-developing program has yet to show measureable results. Covington says the Harris County court has one docket, one judge hearing those cases and a current limit of 20 veterans. "We don't expect to have any graduates before the end of the year or early next year," she says.